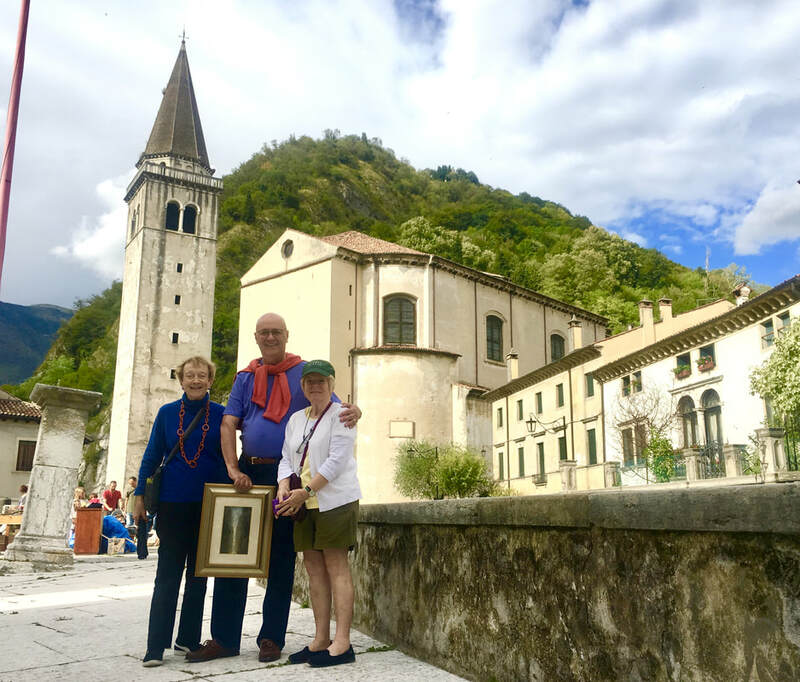 They said it couldn't get any better after the first Italian Painting Holiday...but last September's WAS even better...and if it's true that the 4th time's the charm, then what are you waiting for! Just ask anyone who's been on it. Next year's Painting Holiday will take place in September 1– Saturday, Sept. 7, 2019. The Region: The Veneto is in the northeast part of Italy. It extends from Venice, in the the lagoon of the Adriatic Sea, all the way up to the Dolomite mountains. The Veneto is a region with a thousand different faces, and it is one of Italy’s custodians of natural, artistic, and traditional treasures. center of Vittorio Veneto, a city created in 1886 by the merging of two towns, Ceneda and Serravalle. 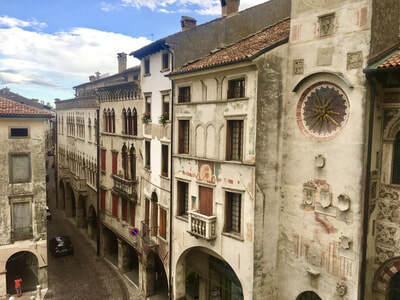 Your Accommodation: You will stay in the Palazzo Galletti B&B Boutique Hotel*. This historic, 14th century Palazzo offers three beautifully restored, elegant and modern rooms with en-suite bathroom, fridge, air conditioning, heating, dining area and free Wi-Fi internet. You will be able to relax in the magnificent romantic garden, experience the finest and tastiest organic Italian cuisine and meet with other guests in our stylish and comfortable living room and library. There is a large studio where critiques can be held, or paintings finished in case of bad weather. Painting: Please bring and work in the medi​um(s) you prefer: oil, watercolor, pastel or drawing. 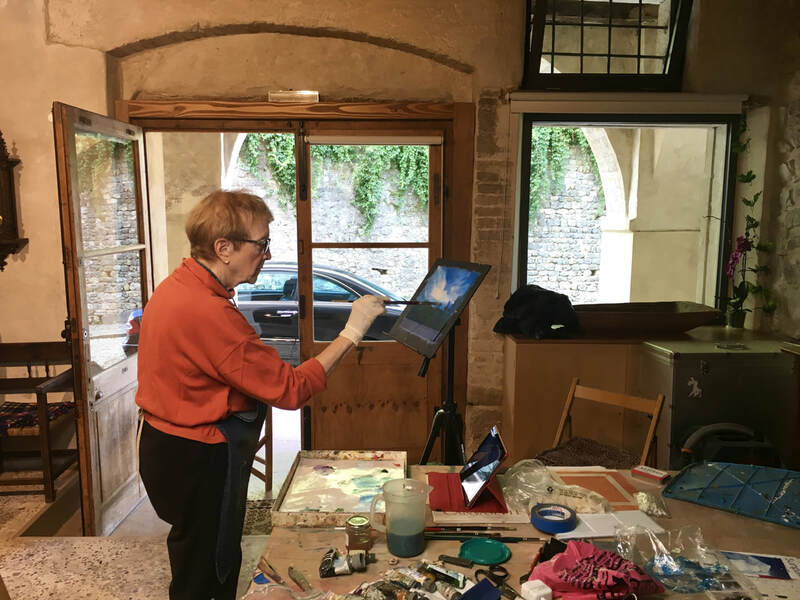 There is a wealth of subjects to paint from, including townscapes and architecturally interesting buildings, landscapes with mountains, vineyards, and even rivers and water. Other Included Activities: Activities will include optional walking tour of the historic centre and the local markets and cooking class, two full one-day guided tours, to be determined (by group before departure). Other suggested optional Activities, not included: Wine tasting tour of Prosecco vineyards. Day 1–Sunday. 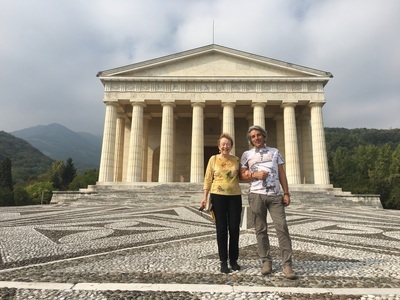 Our Driver Will Meet You At The Venice Airport Between 9:00 Am And Noon And Drive You To Vittorio Veneto You Will Check-In At Palazzo Galletti B&B Boutique Hotel Or Similar Accommodation. 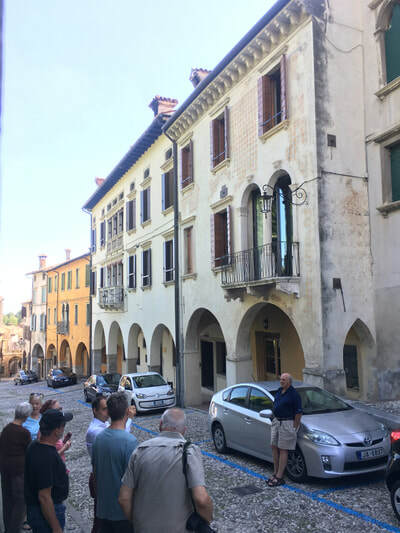 Afternoon Walking Guided Tour Of The Historic Centre Of Serravalle, Where You’ll Gain Inspiration From The Renaissance Architecture Which Surrounds The Palazzo. 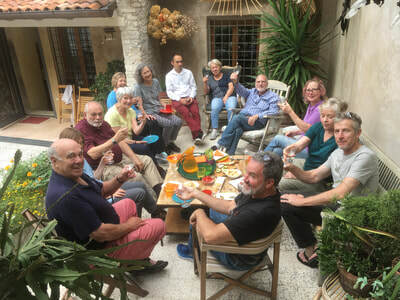 Welcome Lunch and Dinner At Palazzo Galletti. Day 2–Monday. 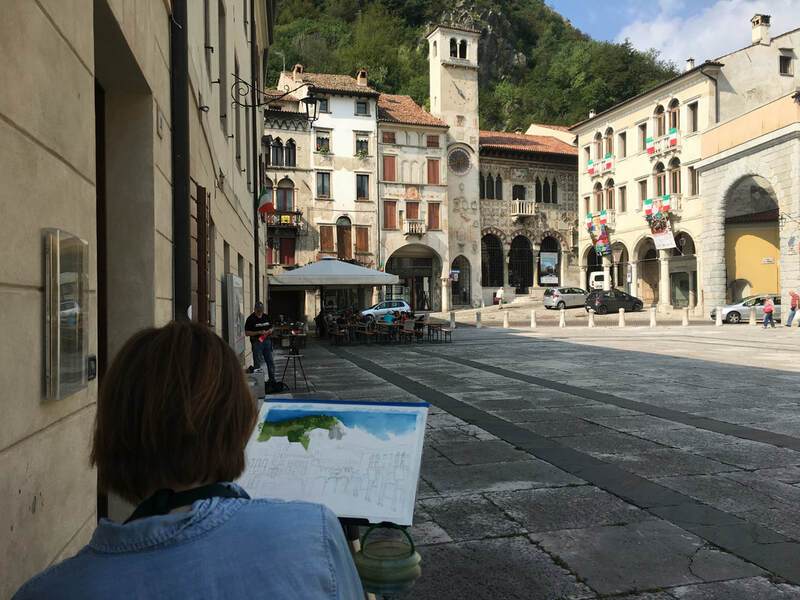 Morning Plein-Air Painting In the historic center of Serravalle. Optional Walking Tour Of Local Market To Buy Ingredients For The Italian Cooking Lesson for Lunch. Afternoon Plein-Air Painting. Evening Open Critique And Discussion. ​Buffet Lunch & Dinner At Palazzo Galletti. 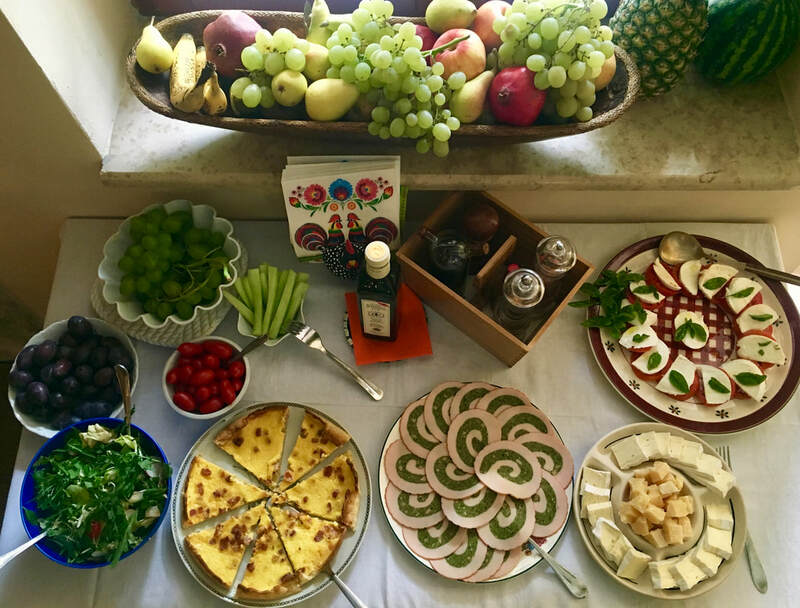 Day 3–Tuesday. 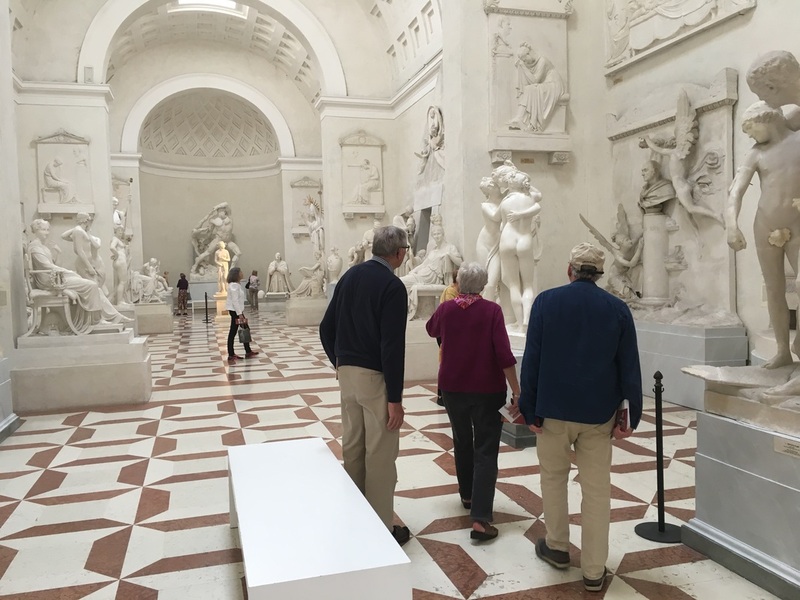 A day trip along the Brenta Canal from Venice to Padua, where you will see Palladio and other beautiful and historic villas, the Scrovegni Chapel (Giotto's Sistine). Donatello's equestrian masterpiece, the Gattamelata, and other historic sites in Padua. 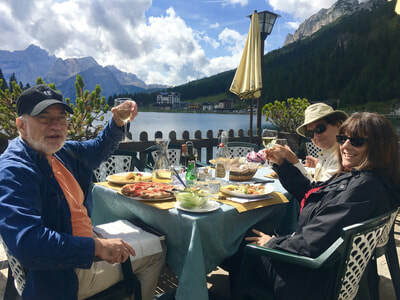 Lunch On Your Own And Dinner At Palazzo Galletti. 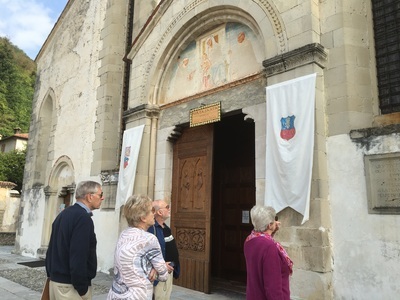 Day 4–Wednesday. 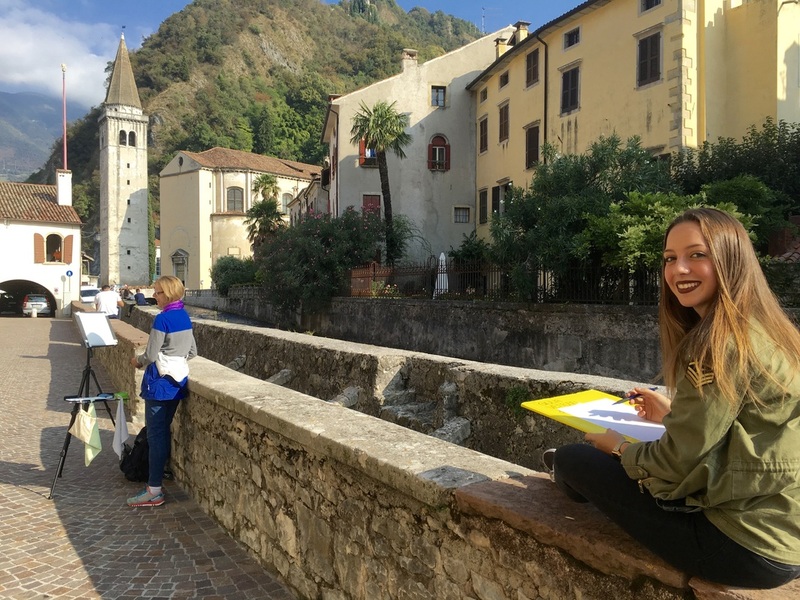 Full Day Plein-Air Painting In Serravalle. Meet In Studio At 6:30 For Voluntary Demo Or Critique Of Day’s Work. 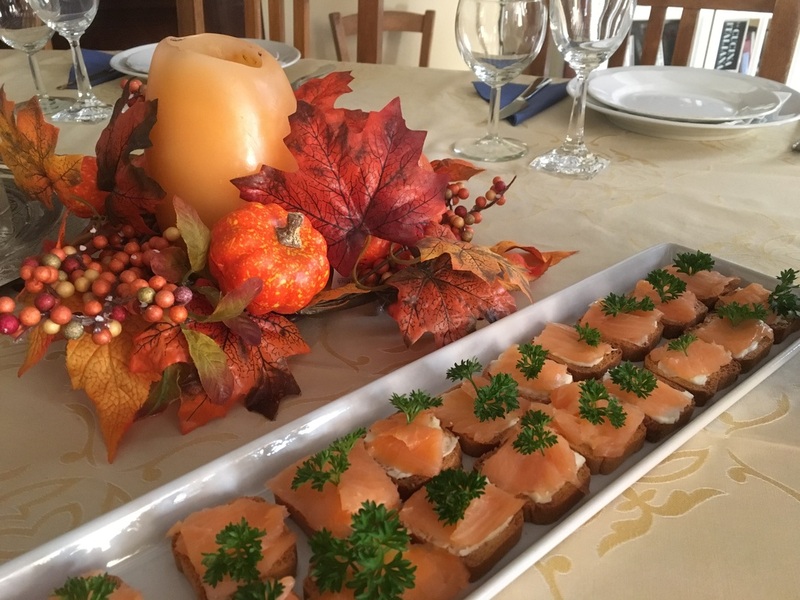 Buffet Lunch & Dinner At Palazzo Galletti. Day 5–Thursday. A second day trip to historic and scenic sites to be determined. Picnic Lunch. Dinner on your own in town. Day 6–Friday. Plein-Air Painting In Serravalle Or In Surrounding Mountains. Meet In Studio At 6:30 For Critique Or Voluntary Demo. 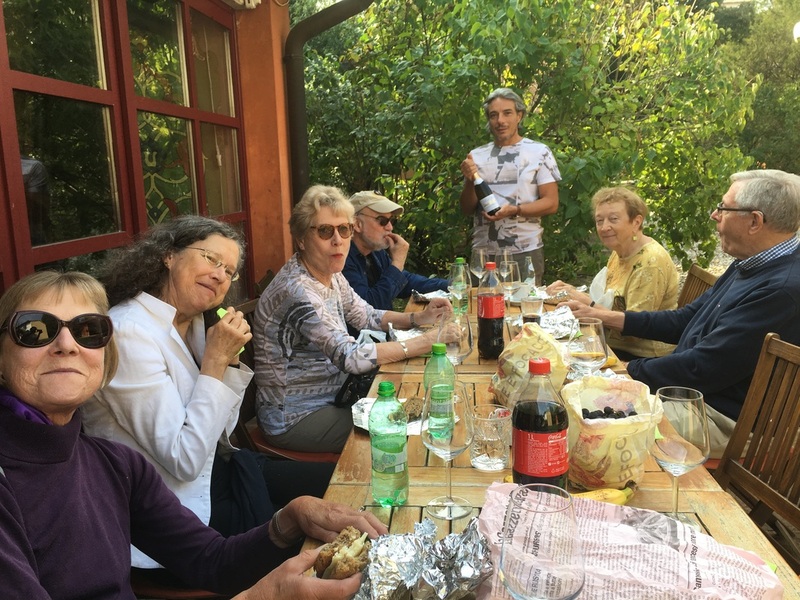 Buffet Lunch At Palazzo Galletti and Farewell Group Dinner. 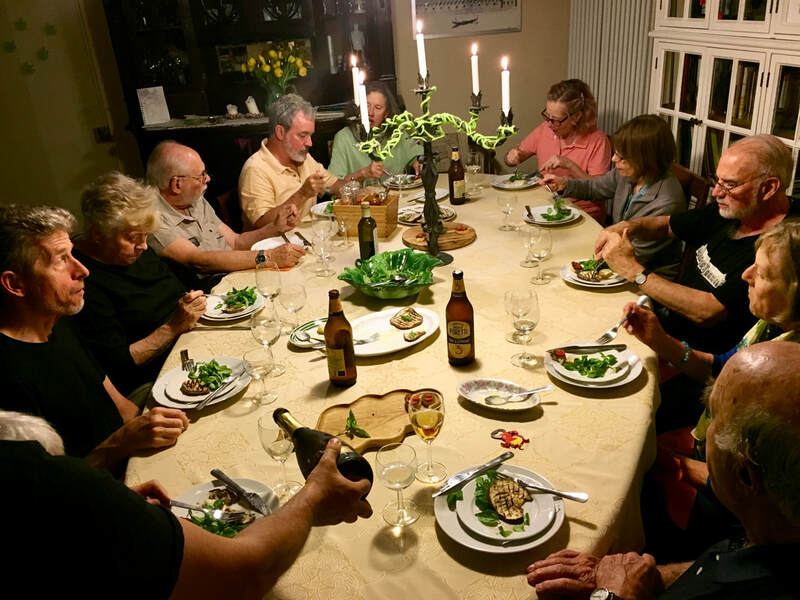 Day 7–Saturday. Check Out And Departure To Your Destination. September 1– Saturday, Sept. 7, 2019.